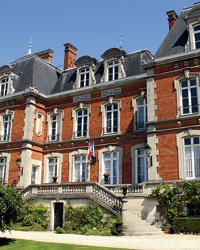 France still produces many of the world’s benchmark bottles. Here, four classics. One of the last major Champagne houses that’s still family-owned, Pol Roger produces good wines at every level, from its famed Cuvée Sir Winston Churchill to this basic bottling. It’s exactly what brut (i.e., dry) Champagne should be: vividly crisp yet creamy, with complex fruit flavors and a tantalizing, toasty aroma. Leflaive is one of the greatest domaines in the village of Puligny-Montrachet, itself one of the greatest sources for white Burgundy. Winemaker Eric Rémy brings out the appellation’s essence in this village bottling—it’s exotically creamy, with savory oak spice wrapped around a tight core of lime, apricot and minerals. 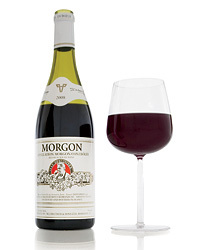 This bottling is classic Morgon (one of the 10 Beaujolais crus, which produce the region’s best wines). Low in tannins and full of sultry cherry fruit, it’s a great rebuttal to Beaujolais’s stereotype as a flimsy, anemic red. Pichon-Lalande, with its exotic floral aroma and deep cassis fruit, is definitive Bordeaux. Though the wine is primarily made from Cabernet Sauvignon, the high proportion of Merlot (roughly 35 percent) in the blend seems to make it velvety even when young.